The conference on Mormonism was in full swing and the speaker had the roomful of Evangelicals in the palm of his eloquent hand hanging on every word. His main thesis? “False prophecy is like murder. 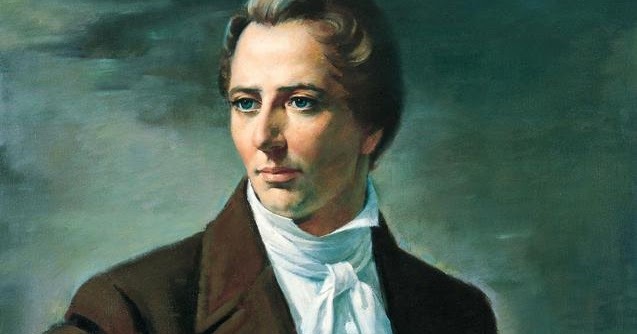 It only takes one time to make a false prophet.” And so he went on and on and on, one failed Joseph Smith prophecy after another, and always ending with this repetitive point, which was thrown out like a mantra that the crowd itself began repeating: “False prophecy is like murder. It only takes one time to make a false prophet.” Does anyone see a problem here? So what does that say about Chuck Smith, Hal Lindsey, and other well-known “Soothsayers of the Second Advent”? We can’t apply one standard to cults and another one to Evangelicals. The plumb line is the plumb line. And if we let Chuck Smith and Hal Lindsay off the hook using the, “Well, they were just speculating or talking out loud not REALLY prophesying!” Then how are we any different than cultists? And the Lord said to me: ‘What they have spoken is good. 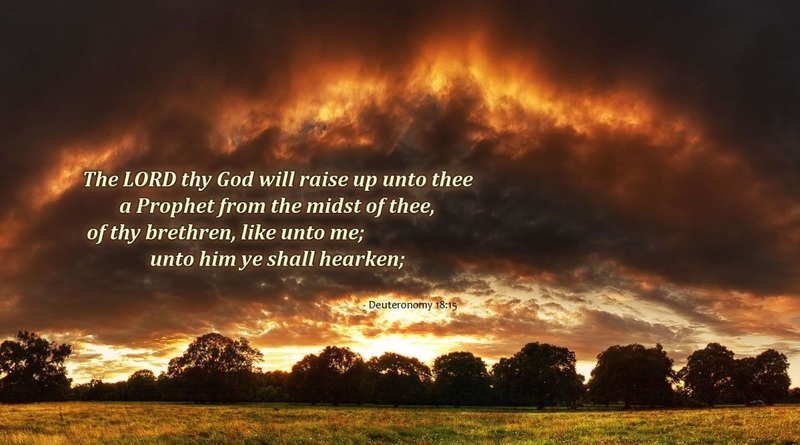 I will raise up for them a Prophet like you from among their brethren, and will put My words in His mouth, and He shall speak to them all that I command Him. And it shall be that whoever will not hear My words, which He speaks in My name, I will require it of him. But the prophet who presumes to speak a word in My name, which I have not commanded him to speak, or who speaks in the name of other gods, that prophet shall die.’ And if you say in your heart, ‘How shall we know the word which the Lord has not spoken?’— when a prophet speaks in the name of the Lord, if the thing does not happen or come to pass, that is the thing which the Lord has not spoken; the prophet has spoken it presumptuously; you shall not be afraid of him. Stated plainly, and Mormon apologetic spin aside, none of these prophecies were fulfilled. In 1838, due to losing the Mormon War in Missouri, Joseph Smith and the period Latter-day Saints were expelled from Missouri by Executive Order of the State Governor sealing the unfulfilled fate of all three prophesies. And I could keep going, I’ve only given you three failed prophecies from the Missouri period of Early Mormon History that are canonized in Mormon scripture (Doctrine & Covenants). If I were to go to the Church published “History of the Church” (1856) or “Comprehensive History of the Church” (1930) the list gets even longer. There is simply no question that if the standard is, “False prophecy is like murder. It only takes one time to make a false prophet” Joseph Smith is indeed guilty. Taking away 7-years for the “Great Tribulation” Hal Lindsey made an implied prediction that the rapture would take place in 1981, that is, seven years prior to the modern state of Israel’s 40th anniversary. Well, 1981 came and went and nothing happened. And 1988 (40-years from 1948) came and went and nothing happened. Hal Lindsey in banner art from his “The Hal Lindsey Report” website. Clearly, none of this came to pass. 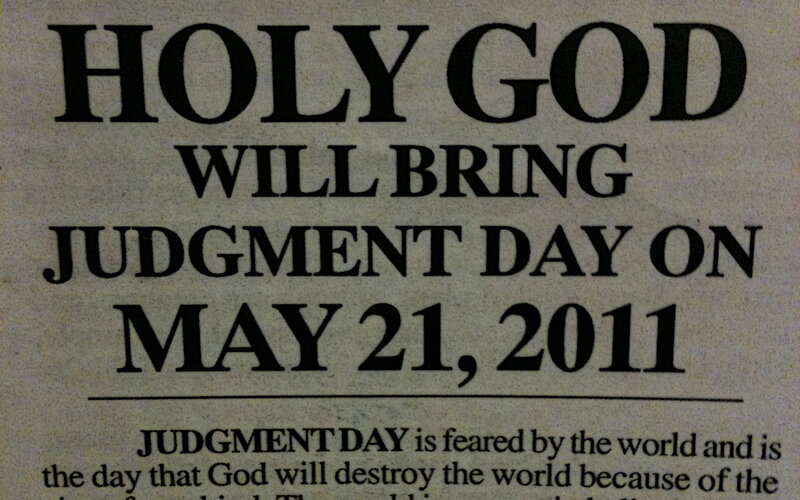 American Christian radio host Harold Camping stated that the Rapture and Judgment Day would take place on May 21, 2011, and that the end of the world would take place five months later on October 21, 2011. The Rapture, in a specific tradition of premillennial theology, is the taking up into heaven of God’s elect people. 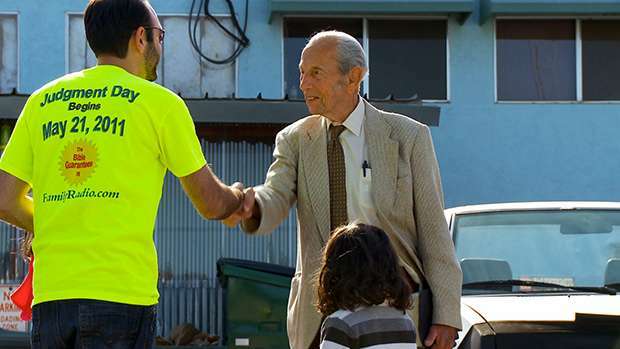 Harold Camping meets a supporter before his prophecy failed. So again, if we are to apply the “False prophecy is like murder. It only takes one time to make a false prophet” standard equally, then Joseph Smith, Hal Lindsey, Chuck Smith, and Harold Camping are all, without question False Prophets, aren’t they? And oh, by the way, I can keep going – there are many other Evangelicals who have also made failed prophetic predictions. So how’s that double standard working for ya Evangelical Christian? But before you answer, please note that I’ve already heard all of the following in the past in response to this evidence, so I’ll spare us both some time here . . .
Further, I was alive when all of these failed Evangelical prophecies were given and I will tell you plainly that the Evangelicals that I knew who bought into them certainly treated them like they were a prophetic word from the Lord. That’s why some of those same Christians left the faith when the predictions of Hal Lindsey and Chuck Smith failed to come to pass, becoming disillusioned not only by their failed prophet but by what they perceived as their prophet’s “failed” Bible as well. Further, since many Christians consider the rapture a more essential doctrine than the Trinity and use eschatology as their core theological integration point, such arguments tend to fall flat given the weight that many give these matters in their daily Christian lives. So, I’m sorry, but this apologetic may sound good in concept but it simply doesn’t stand up to real-world scrutiny. Response: No, problem. Then Joseph Smith was just giving his. That is, in fact, a common Mormon Apologist response to this argument. So if we accept this apologetic for the guys in our tribe, then we should accept it for Joseph Smith too, right? That was easy. Response: Well it is true that Camping showed remorse and repented.4 However, Lindsey never has and Chuck Smith never did.5 Further, since the standard is, “False prophecy is like murder. It only takes one time to make a false prophet” should we start letting remorseful, repentant murders out of jail? If you’re going to set the standard that high and make it that absolute then you need to be consistent, you can’t “fudge” when it’s someone from your own tribe whose head is in the noose. Response: Seriously? Did an Evangelical Christian really just say that? (And yes, they have – many, many times as a matter of fact.) Are we Evangelicals, Mormons now? That’s the standard Mormon apologetic against the Deuteronomy 18 test when it’s applied to Joseph Smith, friends! After all, isn’t this really just a more succinct way of saying, “They didn’t claim to be a prophet like Joseph Smith did”? And this is what I’ve found so interesting whenever I expose this weak argument to those in my own tribe: All of a sudden Evangelicals start using exactly the same arguments for our guys that Mormons use for Joseph Smith and their guys. Double standard anyone? Hypocrisy anyone? Beam in eye anyone? And, yes, I realize that this point I have probably stepped on quite a few Evangelical toes. However, sore toes aside, I would suggest that there is a better way to apply this standard, that maintains the integrity of the Deuteronomy 18 test, while simultaneously vindicating Lindsey, Chuck Smith, and Harold Camping as the true but flawed and misguided Christian brethren that they are, and that condemns Joseph Smith as the False brother and Prophet that he is. Please keep reading. “When you come into the land which the Lord your God is giving you, you shall not learn to follow the abominations of those nations. There shall not be found among you anyone who makes his son or his daughter pass through the fire, or one who practices witchcraft, or a soothsayer, or one who interprets omens, or a sorcerer, or one who conjures spells, or a medium, or a spiritist, or one who calls up the dead. For all who do these things are an abomination to the Lord, and because of these abominations the Lord your God drives them out from before you. You shall be blameless before the Lord your God. For these nations which you will dispossess listened to soothsayers and diviners; but as for you, the Lord your God has not appointed such for you. “And the Lord said to me: ‘What they have spoken is good. I will raise up for them a Prophet like you from among their brethren, and will put My words in His mouth, and He shall speak to them all that I command Him. And it shall be that whoever will not hear My words, which He speaks in My name, I will require it of him. But the prophet who presumes to speak a word in My name, which I have not commanded him to speak, or who speaks in the name of other gods, that prophet shall die.’ And if you say in your heart, ‘How shall we know the word which the Lord has not spoken?’— when a prophet speaks in the name of the Lord, if the thing does not happen or come to pass, that is the thing which the Lord has not spoken; the prophet has spoken it presumptuously; you shall not be afraid of him. The true prophet won’t speak to God’s people in the name other gods in order to get them to follow those gods. The true prophet won’t use divination. The true prophet’s predictions of future events will come to pass. The Messianic clause in Deuteronomy 18 – verse 15 to be precise. Since then, no prophet has risen in Israel like Moses, whom the LORD knew face to face, who did all those miraculous signs and wonders the LORD sent him to do in Egypt—to Pharaoh and to all his officials and to his whole land. For no one has ever shown the mighty power or performed the awesome deeds that Moses did in the sight of all Israel (Deut. 34:10-12). This means that not even Joshua was on a par with Moses, even though God promised to be with him as he was with Moses (Josh. 1:5). The significance of Deuteronomy 34:10-12, according to Patrick Miller, is that “one can hardly see 18:15-22 in terms of a continuing line of prophets through Israel’s history. The only way to resolve the tension between chapters 18 and 34 is to project into the future the announcement that God will raise up a prophet…” (Deuteronomy [Louisville: John Knox Press, 1990], 156-57; author’s emphasis). Fourth, this was how the passage was interpreted in Judaism (see Peter C. Craigie, The Book of Deuteronomy [Grand Rapids: Eerdmans, 1976], 263, n.20). Fifth, in the New Testament both the Jews and the apostles understood this passage to refer not to a line of prophets, but to the Messiah (John 1:21, 25; 6:14; 7:40; Acts 3:22-26). Thus the context and later biblical interpretation favor the messianic interpretation of Deuteronomy 18:15. Question: Did Hal Lindsey, Chuck Smith, Harold Camping, and Joseph Smith give predictions of future events that failed to come to pass? Question: Did Hal Lindsey, Chuck Smith and Harold Camping engage in divination in bringing forth their prophecies? Question: Did Joseph Smith engage in divination in bringing forth his prophecies? Question: Did Hal Lindsey, Chuck Smith, and Harold Camping speak in the name of other gods in order to get God’s people to follow them? Question: Did Joseph Smith speak in the name of other gods in order to get God’s people to follow them? 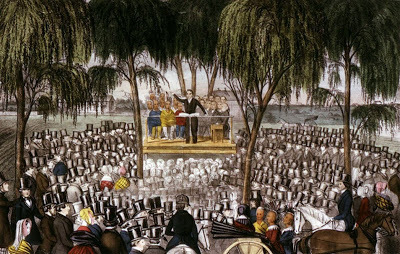 Joseph Smith delivering The King Follett Discourse on April 7, 1844 at Spring General Conference. ‘I will prove that the world is wrong, by showing what God is. I am going to inquire after God; for I want you all to know Him, and to be familiar with Him; and if I am bringing you to a knowledge of Him, all persecutions against me ought to cease. You will then know that I am His servant; for I speak as one having authority. I will go back to the beginning before the world was, to show what kind of a being God is. What sort of a being was God in the beginning? Open your ears and hear, all ye ends of the earth, for I am going to prove it to you by the Bible, and to tell you the designs of God in relation to the human race, and why He interferes with the affairs of man. “Then you came near and stood at the foot of the mountain, and the mountain burned with fire to the midst of heaven, with darkness, cloud, and thick darkness. And the Lord spoke to you out of the midst of the fire. You heard the sound of the words, but saw no form; you only heard a voice. So He declared to you His covenant which He commanded you to perform, the Ten Commandments; and He wrote them on two tablets of stone. And the Lord commanded me at that time to teach you statutes and judgments, that you might observe them in the land which you cross over to possess. Not to mention the God, who Christ, echoing this passage, clearly said in John 4:24 (NKJV) is spirit, not a man: “God is Spirit, and those who worship Him must worship in spirit and truth.” That’s the God of Hal Lindsey, Chuck Smith, and Harold Camping, not the false god and exalted man of Joseph Smith. Yes, there is a False Prophet here, but it’s not Hal Lindsey, Chuck Smith or Harold Camping. Was there poor judgment on their part? Yes. Bad hermeneutics? Definitely. False Teachers? Yes, I think that a case can be made for that if you want to. But False Prophets, no. They simply do not meet all three Deuteronomy 18 False Prophet tests. Joseph Smith, on the other hand, meets all three of the Deuteronomy 18 test criteria, and is, therefore, clearly a False Prophet. There is just no question about it given the historical body of evidence. And that can be determined by fairly applying the total and complete test for a False Prophet in the text rather than cherry picking from just one part of it. The movie poster for the 1979 movie that was based on Hal Lindsey’s best selling book. 2 Hal Lindsey, “The Late Great Planet Earth” (Grand Rapids, Michigan: Zondervan, 1970): pp.53-54. 5 In fact, both Hal Lindsey and Chuck Smith were strident and assertive in their defense that while naming dates is probably not a good idea, they had, really, done nothing wrong and just moved on. Though undeniably wrong about his end-time predictions over the last 46 years, Lindsey still hasn’t referred to himself as a “bum.” It’s not necessary for this to happen, yet a simple apology might be nice. Endnote citation for the source for the above Chuck Smith quotations. In fact, both continued to spin up apocalyptic scenarios that hinted at particular events happening based on current events, which never did. Yes, Joseph Smith had several failed prophecies, but, if we’re going to be honest, we have to also admit, so did these members of our tribe. 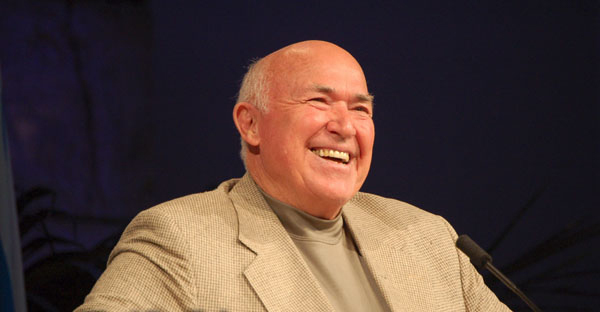 6 Jack Deere, “Surprised by the Voice of God: How God Speaks Today Through Prophecies, Dreams, and Visions” (p. 359). Zondervan. Kindle Edition.